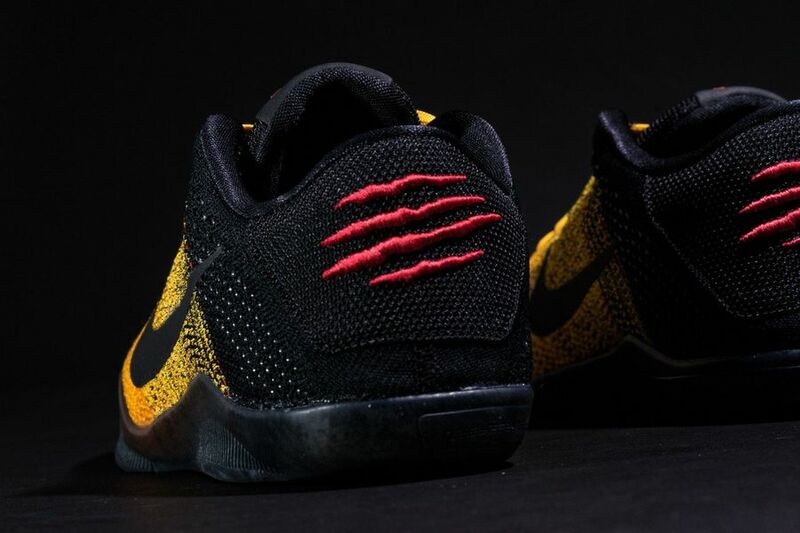 Nike Kobe 11 "Bruce Lee"
The Nike Kobe 11 “Bruce Lee” is an upcoming colorway of the Nike Kobe line set to release this Winter. 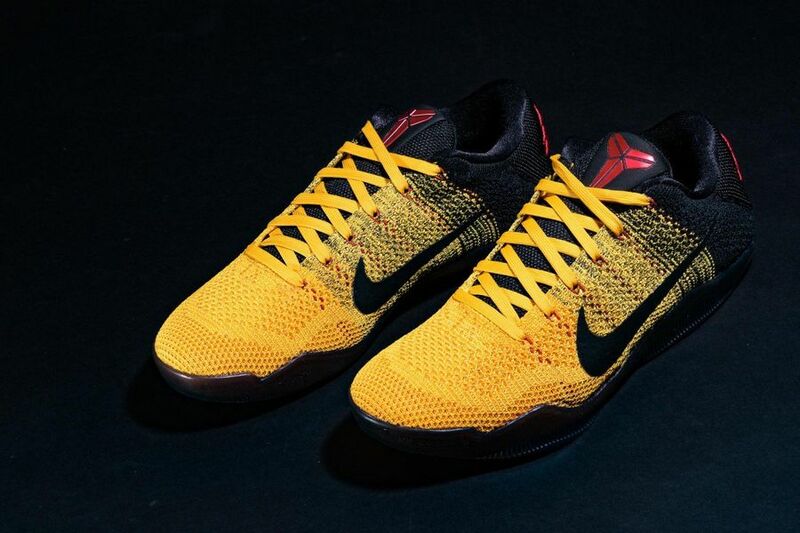 Last released a few models back, the Bruce Lee themed Nike Kobe signature sneaker returns for the 11th series. 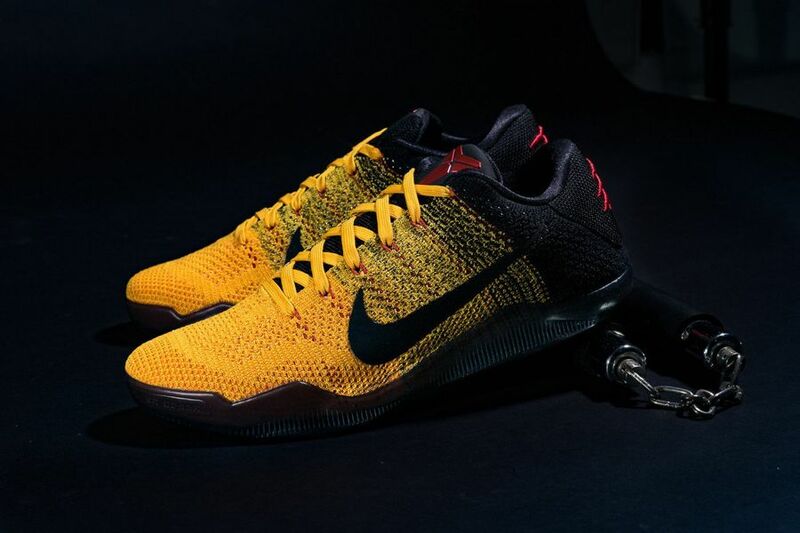 Inspired by the track suit Bruce Lee wore in “Game of Death”, the Kobe 11 features a color theme of University Gold and Black, along with University Red. 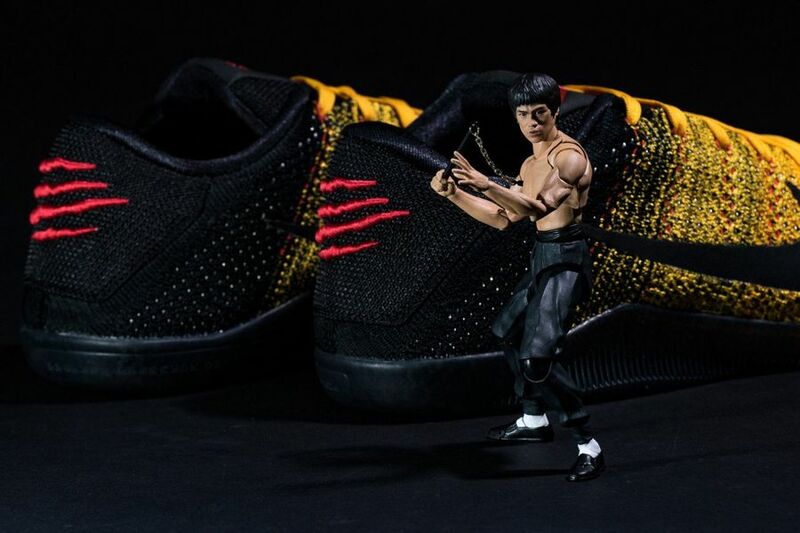 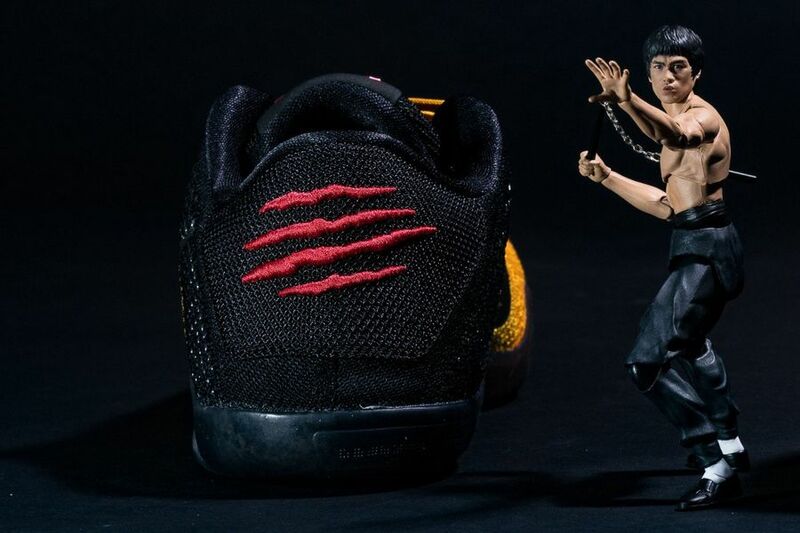 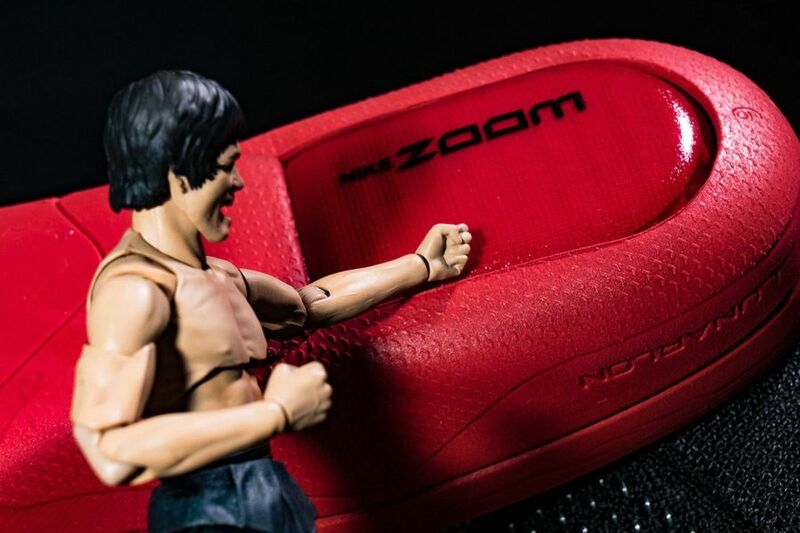 The sneaker also features red stripes on the heel, nodding the claw marks on Bruce Lee’s chest from Enter the Dragon. 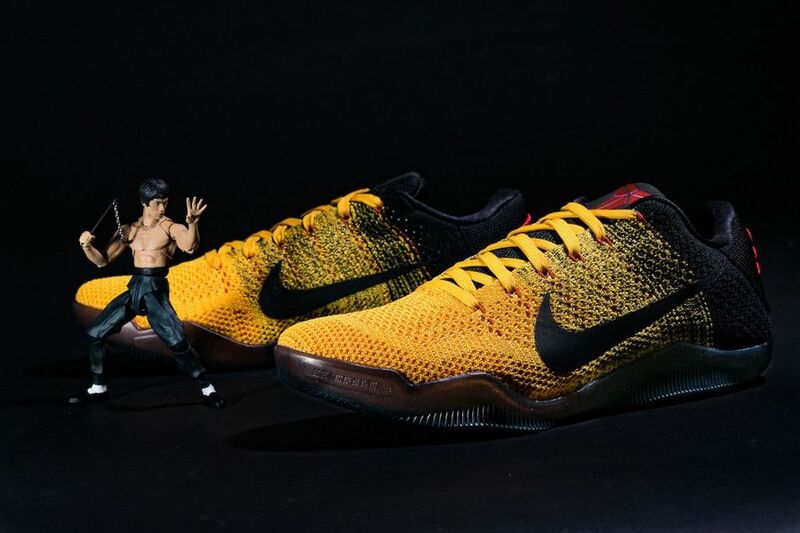 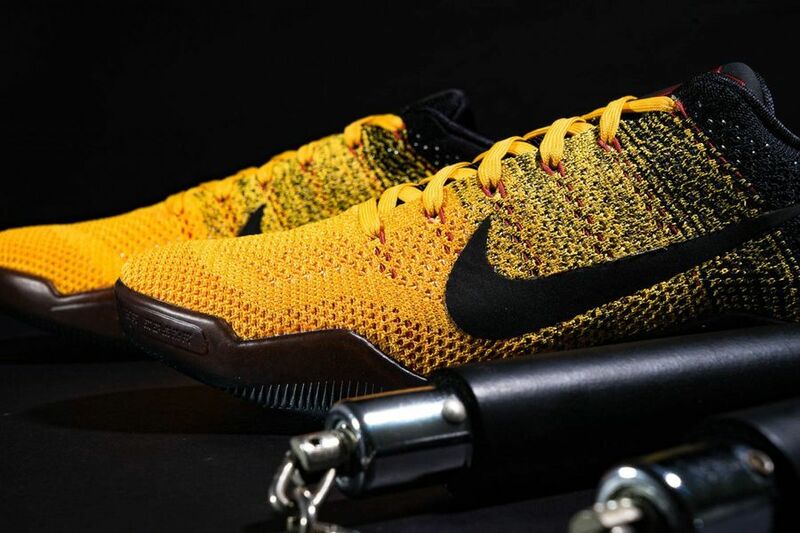 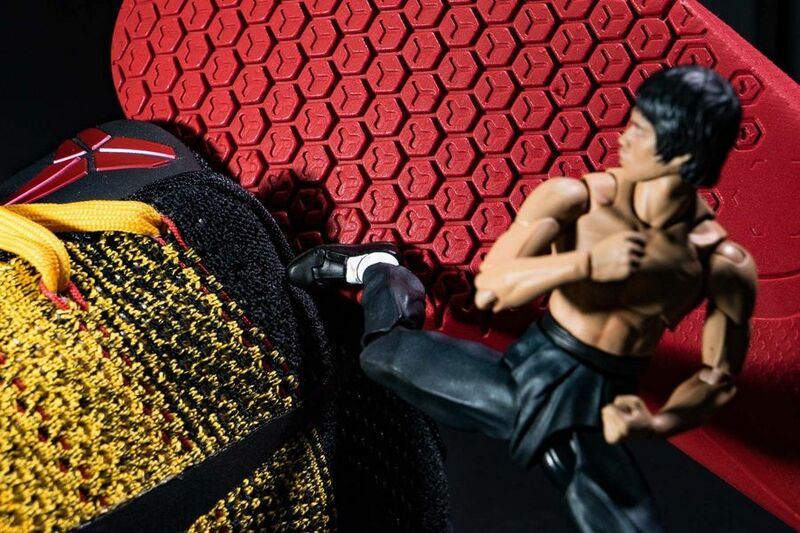 The Nike Kobe 11 Elite Low “Bruce Lee” is set to release on March 19th, 2016 for a retail price of $200. 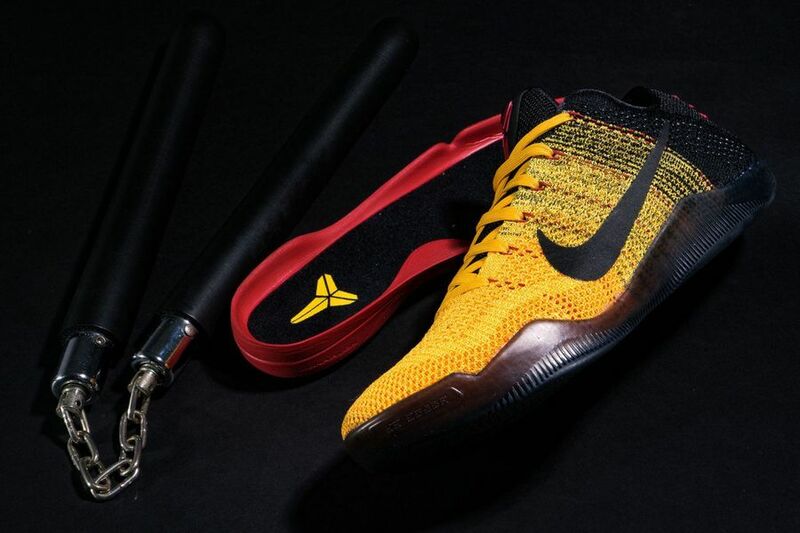 Expect these to release at Nike Basketball retailers across the globe and in the U.S. You could also buy them now on Ebay.